On January 20th, FX’s Justified began its sixth and final season. 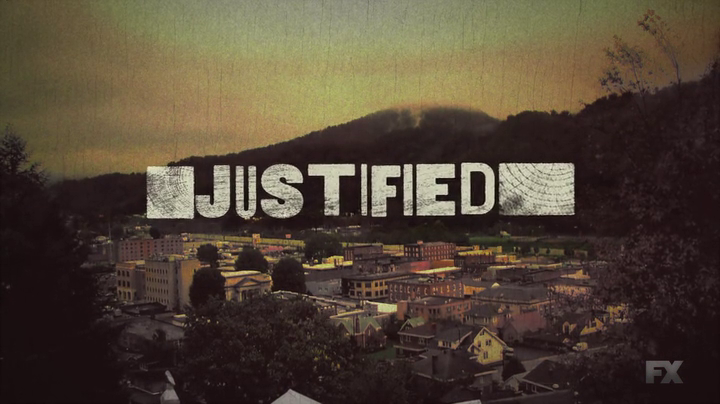 Based on several Elmore Leonard works, Justified follows Raylan Givens (Timothy Olyphant), a US Marshal who is “exiled” to his hometown of Harlan, Kentucky. Raylan frequently finds himself in conflict with erstwhile mining buddy, now criminal mastermind, Boyd Crowder (Walton Goggins), as the two attempt to coexist in a world that seems a little too small for both of them.Justified highlights the local culture and explores numerous themes, such as family, religion, history and the thin line that divides the good guys from the bad. Join Patches(of Nothing but the Rain) and me in the coming months as we honor this criminally underrated drama with a series of “RayActions” to each of Justified’s Season 6 episodes. These posts will not be particularly formal, but will give us the chance to make some observations and reflect on each episode, likely culminating in a full Season 6 Dead Season Discussion after the finale.